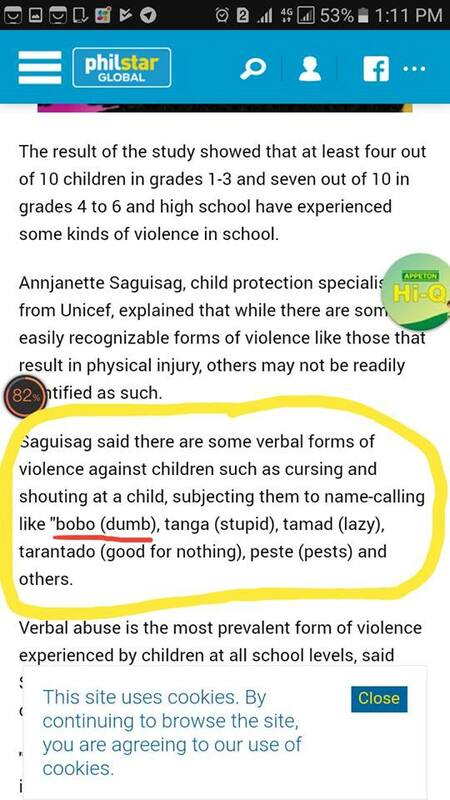 The term “bobo” in Filipino language is equivalent to “dumb,” “brainless,” or “stupid” and it’s considered as derogatory. So naturally, people got offended and brought out their pitchforks, pointing out several things that went incredibly wrong in the ad. 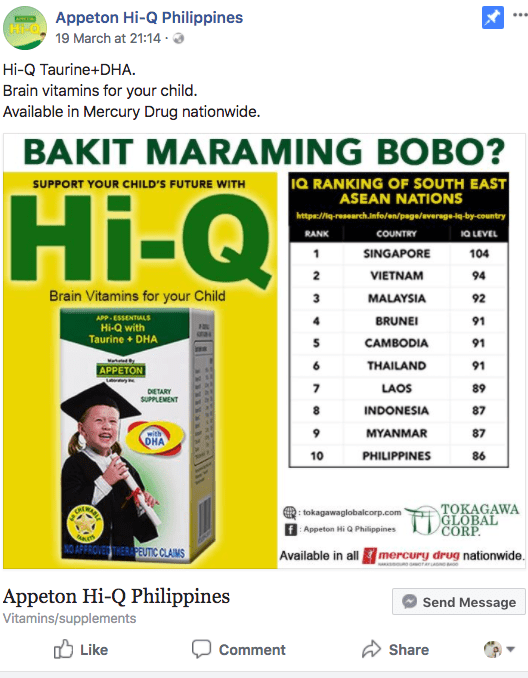 For a product that supposedly helps in brain development, the ad ironically lacks in the thinking department. People are expecting a more intelligent, well-crafted, or at least thought provoking ad considering the nature of what Hi-Q aims to do. But sadly, that’s not the case. 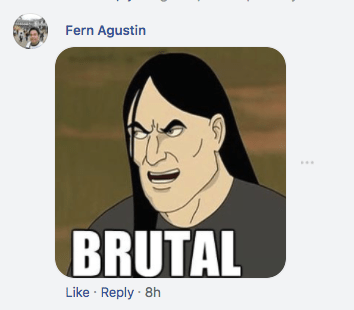 A lot of comments are saying that perhaps the creator of the ad should’ve had a dose of their own medicine first before posting. 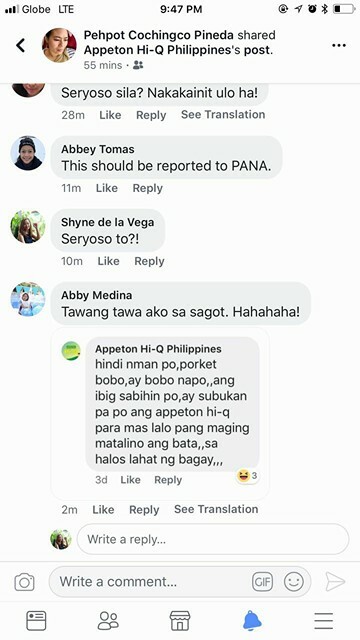 But what’s surprising is the moderator’s replies that seem to justify the tactless message, saying that just because they used the word “bobo” doesn’t mean that it is pertaining to any individual, it “just means that a child should try Appeton Hi-Q to become intelligent in almost all aspects.” Riiiight. Other netizens are calling this as a publicity stunt, since the post did go viral and it got a lot of callous replies asking about the price of the product and how to order it.